With an early entrance into the offseason, the Pittsburgh Steelers are looking ahead at changes within their organization and their roster. When the free agency period opens across the NFL, the Steelers have some difficult - and some perhaps not so difficult - decisions to make in regard to the makeup of their team in 2019. Pittsburgh has 14 unrestricted, four restricted, and eight exclusive rights free agents to take a hard look at and decide if they make new arrangements with or send them to the open market. Before going too deep, the players that are unrestricted free agents may be the most important to look at first, and there are several key names fans will be interested in watching as the flurry of transactions begin. The Le'Veon Bell saga is about the end in Pittsburgh. Regardless of some half-hearted suppositions that the Steelers are still interesting in locking in a deal, it's unlikely that they'll do so after the season that James Conner and Jaylen Samuels were able to put together in 2018 while Bell hedged, made social media appearances, and never showed up to the team. With the high price tag attached to Bell and the drama that plagued the team all season, expect the Steelers to allow another team to take on the responsibility and potential issues. Stevan Ridley showed that he still had value, which is why the Steelers brought him back after a 2017 campaign, but Ridley saw less and less on-field time in 2018 as Samuels showed what he could develop into in his sophomore season in 2019. Ridley doesn't have the advantage of youth anymore, he had two critical late-season fumbles, and the Steelers don't appear to be looking to keep a third-down or short-yardage back in the type of offense they utilized during the 2018 season. This makes Ridley expendable and opens the door for the Steelers to possibly take some hard looks at prospects declaring for the 2019 NFL Draft to fill a third RB spot moving forward. Justin Hunter never quite found his spot on the Steelers roster. 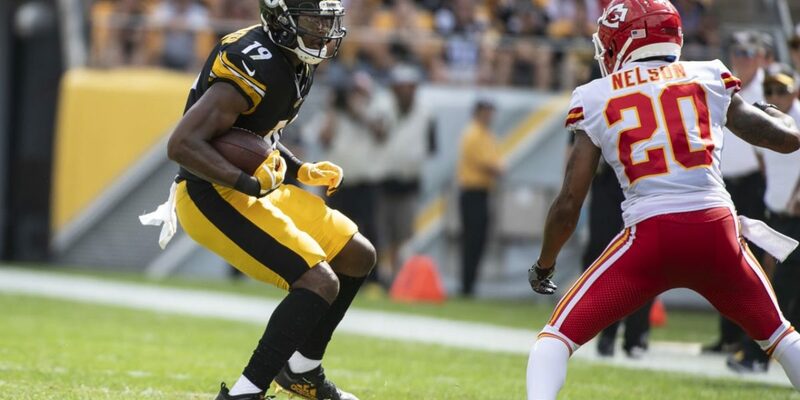 The veteran receiver is coming off of a torn labrum (shoulder) and with the Steelers dealing with what appears to be the exit of Antonio Brown, it's likely they cut Hunter loose and look for an upgrade at the receiver position opposite JuJu Smith-Schuster. With just three receptions on the season, it's clear Hunter is not what Pittsburgh needs. Eli Rogers has had his ups and downs on the Steelers roster. Once he came off the PUP list in 2018, he saw more action on the field as Pittsburgh tried more open sets. Rogers would not break the bank if the team were to offer him a one-year contract and he showed more reliability than James Washington, so it wouldn't be a huge shock to see Rogers back in the black and gold in 2019 for the right price. If Washington can step his play up to the next level, though, at camp, Rogers could be seen as replaceable. Darrius Heyward-Bey spent his tenth season in the NFL with the Steelers in 2018. While he's not an outside threat and he made some key mistakes that drew penalties on special teams, he has shown himself to be a team-first type of player. He still has decent legs and it's clear that he's well-liked by the organization because they keep bringing him back. There have been times when DHB has offered a clutch play here and there, too, on offense. Again, he's a player that won't break the bank and having veteran leadership without drama in the locker room may be enough to keep him with the team in 2019. The only unrestricted free agent at the tight end position the Steelers must deal with is Jesse James. 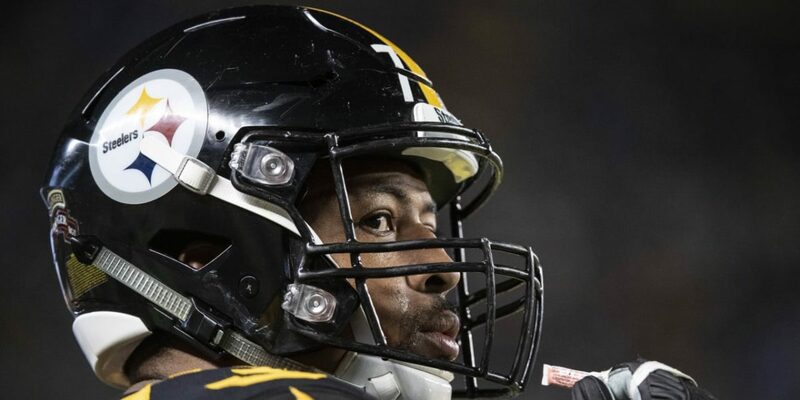 The four-year rookie contract is up and the 6'7", 254-pound local product has expressed publicly that he's uncertain what the Steelers might do with him moving forward. He expressed to Jacob Klinger of PennLive.com recently that he felt he'd made plays for the team, but he "might not be the featured guy in the passing game." This was after he admitted that the Steelers were like the Kardashians. "We were in the front of the ticker on ESPN too much for just reasons that weren't related to football and not for us playing great ball. It was more distractions," James said. James saw just seven starts in 2018 while splitting playing time with Vance McDonald. James' numbers were still decent, though. He caught 30-of-39 targets for a career-high 423 yards and two touchdowns. James hinted that he wants to get as many snaps as he possibly can in interviews, but given McDonald's injury history, the Steelers may not want James hitting the open market. The Steelers also have a number of other tight ends to look at. Xavier Grimble is a restricted free agent who hasn't really impressed. Exclusive-rights tight end Jake McGee sat on injured/reserved throughout 2018. Bucky Hodges remained on the practice squad, as did Christian Scotland-Williamson. Kevin Rader, a 6'4", 240-pound tight end out of Youngstown State, signed a reserve/futures contract with the team. Clearly, the Steelers are looking at the position but not necessarily completely focused on it. Offering James a new deal seems like the smart move for the Steelers in this situation, although stranger things have happened. The only unrestricted free agent the Steelers have along the offensive line is Ramon Foster. Foster has suffered from a variety of injuries and is nearing the end of a good career, but re-signing him to a short-term deal while the team develops Matt Feiler - and possibly restricted free agent B.J. Finney for the future - makes sense. His veteran leadership will be needed. Zach Banner was already re-signed by the Steelers, which makes it possible they will move on from Joseph Cheek. The Steelers signed center Patrick Morris to a futures/reserves contract, as they did with R.J. Prince. Although these moves are likely to put players on the field for training camp for better evaluation, they're solid along the offensive line beyond oft-injured Marcus Gilbert and should be able to continue to rely on one of the best offensive fronts. 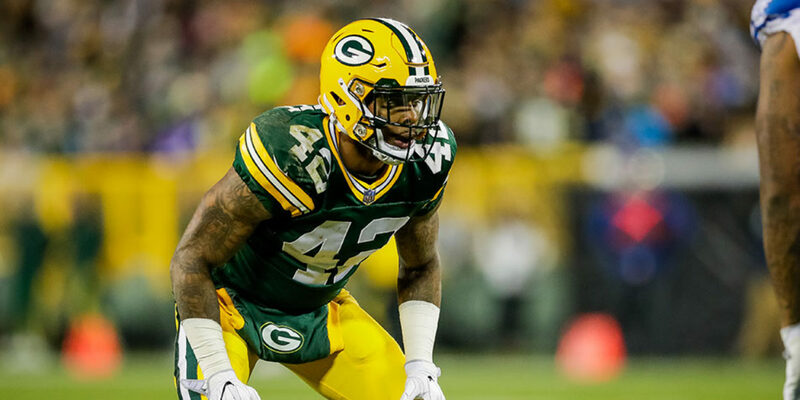 Although he is not a free agent, safety Morgan Burnett is looking for an early exit from Pittsburgh. That sets up some potentially different moves for free agents in the defensive backfield than the Steelers may have been thinking about before Burnett went public. Burnett spent most of the 2018 season injured, so his request may seem odd to some who watched Terrell Edmunds step in more often. Safeties Jordan Dangerfield, Malik Golden, and Nat Berhe could now get another opportunity to sign and stay in Pittsburgh in 2019. Berhe is the only unrestricted free agent at that position; both Dangerfield and Golden are exclusive-rights free agents. Dangerfield, who was more impressive in the dime position in 2018, has the best opportunity of the three to get a new deal. The Steelers haven't been opposed to signing a veteran free agent to pair with a rookie, either, so this could be an area to watch as Pittsburgh has shaken up its coaching staff as well. As for the cornerback position, Coty Sensabaugh stepped in while Artie Burns struggled. Sensabaugh did enough to earn a new deal for 2019 and could be an inexpensive option should the Steelers get cash-strapped. Mike Hilton also played well enough to potentially see an offer. Herb Waters was added via future/reserve contract as well. Defensive ends Tyson Alualu and L.T. Walton are both unrestricted free agents, as is defensive tackle Daniel McCullers, and linebackers Ryan Shazier, L.J. Fort and Anthony Chickillo. Linebacker Keith Kelsey is an ERFA. Alualu and Walton both saw playing time in 2018. They'd be decent re-signs and give the Steelers depth and players with experience in their system. McCullers' days in Pittsburgh are likely limited after never quite becoming the force the Steelers wanted in the middle of their defensive front. At linebacker, there are very few Steelers fans that would enjoy seeing Ryan Shazier sent anywhere. Realistically, the team can't use him on the field, but they could negotiate a different spot for him (assistant linebackers coach?). That makes re-signing L.J. Fort and/or Anthony Chickillo more of a priority decision. Fort seemed to fit into Keith Butler's system a bit better as the season progressed, but Chickillo's experience leaves him as a viable option for re-signing as well. Keion Adams is still in the mix - for now. The Steelers signed him to a reserve/futures contract after getting almost nothing from him the past two seasons due to injury, but they're keen on his potential enough to see him in camp again in 2019. They also added Tegray Scales. With the woes of placekicker Chris Boswell, the Steelers brought in Matt McCrane. They promptly re-signed him for 2019. Whether they will move on from Boswell remains to be seen, but it's doubtful they make a decision until they enter training camp. Punter Jordan Berry faces free agency, however. There have been no rumblings yet, but it would not be shocking if the Steelers were to bring in other players at that position to see if they can improve ball placement as special teams were less than stellar in 2018. Thank you for the updates! Personally, I realize they’re not great or critical players, but I love Mike Hilton and Jesse James. I hope they work out deals. I think it’s time to look for a bigger, more consistent leg than Berry.